For those who haven't given Google Wallet a go yet, waiting just a while longer for the latest version of the service maybe a smart move. 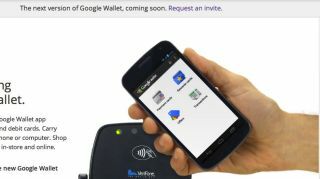 Google announced Monday via its site dedicated to its mobile payment processing service that the "next version of Google Wallet" is coming soon. Interested users can request an invite and must simply login using their Google login information. From there, Google asks what kind of device users have - Android, iOS or "other." The procedural question actually carries with it ample significance as it indicates Google Wallet will soon be useable across platforms. iOS compatibility is particularly noteworthy because it means the service won't need to rely on near-field communication (NFC) to work. Until we know exactly what Google has in store for its mobile payment service, signing up for an invite might help stave off the curiosity.